During the International Polar Year, the Census for Antarctic Marine Life (CAML) is investigating the distribution and abundance of Antarctic marine biodiversity and how it will be affected by climate change. It is a major ship-based research programme taking place during the austral summer of 2007-08 which involves scientists from 30 countries and 14 vessels. Australia, France and Japan will contribute to CAML through their joint participation in the Collaborative East Antarctic Marine Census (CEAMARC), which is undertaking a comprehensive survey of the plankton, fish, benthos and oceanography of the area north of Terre Adélie and George V Land of Eastern Antarctica. The goals of CEAMARC are to understand the processes that have led to the evolution and allowed the survival of the current biota living in the Southern Ocean with a view to predict how these biota might respond to future changes. The project also hopes to establish a robust benchmark for East Antarctica against which the effects of future change will be able to be measured. SciencePoles was recently able to speak with Dr. Graham Hosie of the Australian Antarctic Division about the CEAMARC project. As a plankton expert who has participated in over a dozen Antarctic expeditions during a career that has spanned more than two decades, and has been working on the Southern Ocean Continuous Plankton Recorder Survey, Dr. Hosie was able to answer questions about the CEAMARC project and its research objectives. How did the cooperation between Australia, France and Japan for the CEAMARC project come about? Australia has been working with Japan for a very long time, and particularly for myself, I've collaborated with Japanese researchers on numerous occasions. We've had a very close collaboration when it comes to plankton research. More recently I started a collaboration with the Tokyo University of Marine Science and Technology, again with the plankton group. It was just sensible to share our resources and our expertise. We're all there in the same region trying to do the same thing, so it's logical to work together. France has been operating from Hobart (Australia) for a very long time, servicing their station Dumont d'Urville. Over the years I've been in contact with Philippe Koubbi, who was for a long time at the Université du Littoral Côte d'Opale and is now moving down to the Oceanographic Observatory of Villefranche-sur-mer. It seemed logical if we were all working more or less in the same area of the Antarctic that Australia and France should cooperate. Working individually we could only achieve so much, while working together we could probably achieve a lot more. One of the great joys of working in Antarctica is the complete sense of collaboration that goes with it. The science programme in the Australian Antarctic Division is quite big, and we recognise that we can't achieve all of it. So we're quite happy to develop partnerships with local universities, national universities, foreign universities, foreign governments and foreign agencies to try to help us broaden our expertise and to broaden our ability to do programmes. If the other agencies reach their objectives at the same time, then it's good for everyone. The fact of the matter is most Antarctic nations have very common objectives. One of the main concerns for national programmes and for the Scientific Committee on Antarctic Research (SCAR) is to get to know more about the biodiversity of the Southern Ocean and how it's being affected by climate change as well as to get an understanding of the biota in the region. What's really important to determine in many of the research programmes on the biota in the Southern Ocean is to be able to distinguish between forced change and natural variation, because even within a natural cycle, the climate will warm and cool. So we're not just looking for change. We're trying to identify what the patterns are, and whether they are natural or anthropogenic. However it will take a lot of time and a lot of effort to be able to do this. What I expect out of my work is to be able to identify any change in the plankton. I can identify that a change has occurred and see what the consequences would be for the rest of the ecosystem, however determining what causes it might be beyond my capabilities alone to decide. I've worked with glaciologists, meteorologists and oceanographers to try to understand the system. It will take a concerted effort to figure out exactly what the link is. How is the work within CEMARC being coordinated between the three countries? There are three ships involved with the CEAMARC project. The Australian vessel the Aurora Australis, the Umitaka Maru from the Tokyo University of Marine Science and Technology in Japan, and the l'Astrolabe from the French Antarctic Programme. The plan is to survey an area between Dumont d'Urville and the Mertz glacier, which is just a little bit further east than Dumont d'Urville. The Aurora Australis will be doing studies of the bottom-living fish and the benthos. In order to maximize our time we're going to be doing the plankton work on the Umitaka Maru. And l'Astrolabe will fill in the gaps close to the coast where it's more suitable for getting in close. There are a lot of gaps along the coastal side of things as far as areas that have been surveyed. For many years we've been working pretty much offshore. The target has always been krill and other marine animals dependant on krill as a source of food. This year we're actually going to focus on the sea ice and shelf zone and get right close in. My personal interest is learning a lot more about the deep sea plankton. For a long time the focus has been on the top 200 metres because that's where krill and much of the zooplankton aggregate. This time I'm a lot more interested in what's deeper down because of the higher levels of biodiversity down there. There are a lot of species living at the bottom of the ocean, and we really don't know that much about what they're doing. In terms of benthos, there are a lot of gaps there, and there are a lot of interesting stories. Last year of course there was the Polarstern voyage that looked at the Larsen ice break-out and the new community that has been exposed as a result of this loss of ice. Their survey found hundreds of new species, and we don't expect it to be any different from the area we're surveying during the CEAMARC project. Why did you choose the regions you did? It goes back to a period some time ago when there was an interest between some French and Australian colleagues studying fish who wanted to do a survey in that region. It's a region that's relatively easy to survey. We've done a lot of work in the Prydz Bay region, which is between Davis and Mawson, plus this is an opportunity to support France in their work and to find out more about Australia's territory in the Antarctic. Part of the survey area is French territory and part of it is the East Australian territory. It's an area that's close to Hobart, so it's only a six-day trip straight south. It's also a region that the three nations involved in the CEAMARC project will visit on a regular basis. What we'd like to create out of CAML is a series of legacy sites around Antarctica that we'll visit again. How often we'll visit them, we don't know. In the future, we'd like to think there'd be a CAML II sometime. After all, a census is only as good as the next census. Hopefully in 10 or 20 years' time we could repeat the survey to see what's happened from now until that period. Certainly if we do a CAML II and a CAML III these regions will be visited again. But hopefully they'll be visited during intervening periods as well. One of the areas we're going to be visiting under CEAMARC will hopefully be one of these legacy sites. After we do the survey, we'll look at the data and decide whether such and such a place is a good place to do plankton monitoring and maybe some regular monitoring of the sea floor. We might even start a programme that will monitor that region every year or every two years. What kinds of methods are you using? To monitor the sea floor we're doing some traditional beam trawl nets, grabs, and things like that. But what's really interesting is that we're trying to get a lot more video images of these creatures. You can get some interesting stuff. It's a lot more interesting to observe animals in their natural habitat than to just have a look at them in the trawls. We're going to focus on doing a lot more video work with plankton and even try to see some of the big invertebrates in real-life in the water. Taking video images, you can not only see what their true colour is, but you can also observe their behaviour and their true abundance density. I think the camera that we plan to use can go to 4000 metres. Whether or not we'll get that deep we don't know. Some of the images that Philippe Koubbi has already collected from around Dumont d'Urville are just extraordinary. You can see the density of fish. You see fish swimming between sponges. You see the colonies of benthos. While it's very nice to look at videos, we actually need to come up with a way to quantify this information and develop ways to assess these videos scientifically. There are ways you can do this using various visualisation methods. We're going to be relying a lot more on video data in CAML, and hopefully in the future with these legacy sites we'll actually be able to take some videos of what's going on in the benthic communities and then later go back perhaps within a future CAML expedition and see if the community has changed at all. We can only speculate right now about how stable these communities are. Is there any way you would really be able to judge the health of these communities? This is one of the main objectives of CAML after all. Well, I can speak about plankton. We've worked with plankton sufficiently enough with regular surveys every year over a wide enough area through the measurements taken by the continuous plankton recorder, so we can get a good measure of the status of the plankton communities. Repeated surveys will give us some sort of indication about how stable these communities are. However I'm sure that as we get more into CAML, as we add more data, we'll start to be able to answer more questions. Of course every time we try to get an answer to a question it almost always leads you to ask several more questions. How often have these regions been surveyed? We've partially surveyed this region before. France has been doing some video work and in some past surveys Australia has been in this region doing plankton research, as well as glaciological and oceanographic research. There has been an attempt to classify the Adelie Basin in the Mertz Glacier area, using mutli-beam mapping, grabs, and classification of the sediment. This is more a physical classification that we've attempted to translate into biological classification on top of it, so we've got some information that at least tells us that's an interesting area to work in. One of the problems we face is having a rather infrequent sampling intensity. We can only get in there for a certain period of time each year. Even with a project as intense as CAML, which has a lot of ships involved in the project, you can't cover everything. It's a big region, and a lot of times the regions around the Antarctic continent are covered by ice. We've got two or three months when the area we'd like to sample is ice-free or relatively ice-free. So just from a scientific point of view you've got a small window of opportunity. It's a lot easier to survey the Great Barrier Reef for example, since you could go out there every day, bar bad weather, to see what's out there. For us working in the CAML project, we've got a limited window and on top of that we'll have to contend with bad weather sometimes. You're going to compare data that you collect with data that has been collected 60 or 70 years ago to see how things have evolved since then. What exactly are you trying to achieve? One of the things CAML is trying to do overall is to reset the benchmark on the condition of biodiversity in Antarctic waters right now. Part of what CAML wants to do is go through all the data, collate it and put it into the SCAR-MarBIN database so we can get some idea of what kind of changes have happened in the Antarctic marine ecosystem over the last 60 or 70 years. From running the Southern Ocean Continuous Plankton Recorder Survey, it's an opportunity to compare with a lot of the old plankton information to see if there have been changes within the Antarctic marine ecosystem. 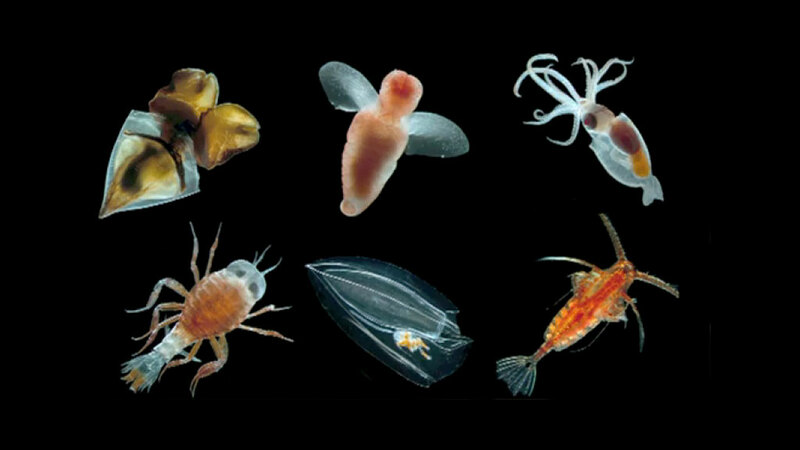 We know that there have been a lot of changes in plankton systems around the world, in the North Sea, the North Atlantic, the North Pacific, around the coasts of Africa, and throughout the upper coasts of South America. We don't expect the Southern Ocean to be any different. We expect change to occur, whether it's a natural change occurring through natural dynamics or whether it's been forced by external influences. We could probably detect change, however whether we could interpret the cause of change would be a lot more difficult. When change has occurred - at least in terms of plankton - it has occurred within a year in some places. Marine ecosystems are always gradually changing, particularly open ocean systems. However they are dynamic, and sometimes if you blink, you can find yourself with something completely different. We've witnessed a plankton regime shift that occurred during one season in the North Sea, for example, and my interest is seeing if such a thing can happen in the Southern Ocean. So what I'm doing within the Continuous Plankton Recorder Survey is using the plankton like a coal miner's canary. Plankton are very sensitive to change. Quite often you'll be able pick up changes in the system more quickly by looking at the plankton than you will by other means. Plankton react very quickly, they're very fast-growing, and they've got a very fast regeneration time, so you'll be able to see major events that affect the entire ecosystem in the plankton population before it appears anywhere else within the ecosystem. Thus by looking at what's happening to the plankton we try to predict what the effects will be on the rest of the food chain. How long would it take to see effects on the whole food chain within the Southern Ocean? That's a good question. I wouldn't be able to comment on the Southern Ocean as a whole because right now we just don't know enough. We don't have a strong enough sampling intensity. In the case of the North Sea I think the evidence there was that you could see changes in the abundance of cod and other fish stocks within a year of changes in the plankton population. It's possibly because the fish larvae are dependant on the plankton as a source of food. Cod and herring are dependent on copepods such as plankton, so the response there is fairly quick. Changes like that have an immediate ecological impact, and in some cases, they could have an immense economic impact, too. We've seen something like this happen in the Black Sea and the Caspian Sea when ctenophores (comb jellies) came in to the ecosystems and wiped out all the plankton more or less, leaving nothing for the sprat herring to feed on, which in turn led to a major decline in the population of the sprat herring. If you've only got a small window during which you can take the surveys, how would you know what seasonal changes might occur in the areas you're trying to investigate? Within a season it's difficult, and it has always been a long-term problem. What are krill doing underneath the ice in winter? We don't know. We've got very little information. The Australians have just completed a survey in the region that took place at the end of the austral winter and it was able to give us a little more information and improve our understanding of what's going on. However it's really only a small snapshot each time we do a survey somewhere. So the best we can do is to compare like with like. We can compare summer periods with summer periods and a few surveys conducted during other seasons might give us some indications of what's going on. We can try putting out moorings and things like that to try and capture a true season, collecting ice data or physical data, perhaps even get a little bit of biological information from plankton. But that's the best we can do. Graham Hosie is a principal research scientist at the Australian Antarctic Division (AAD). His research focuses on the ecology and biogeography of plankton species and communities, and the potential effects of climate change on plankton.